In January of 2015, subway posters went up in stations along the Toei Oedo Line in Tokyo proclaiming it the “Star Wars Year.” It was the year of "The Force Awakens," the movie that kicked off a new trilogy and a new era of "Star Wars" under Disney. Since then, there have been a number of large-scale "Star Wars" promotions run in conjunction with local festivals in Japan. For some expats and overseas tourists reading about the promotions in international headlines on sites like CNN, these events have provided a novel first introduction to sights such as the winter snow sculptures of the Sapporo Snow Festival and the summer lantern floats of the Aomori Nebuta Matsuri. 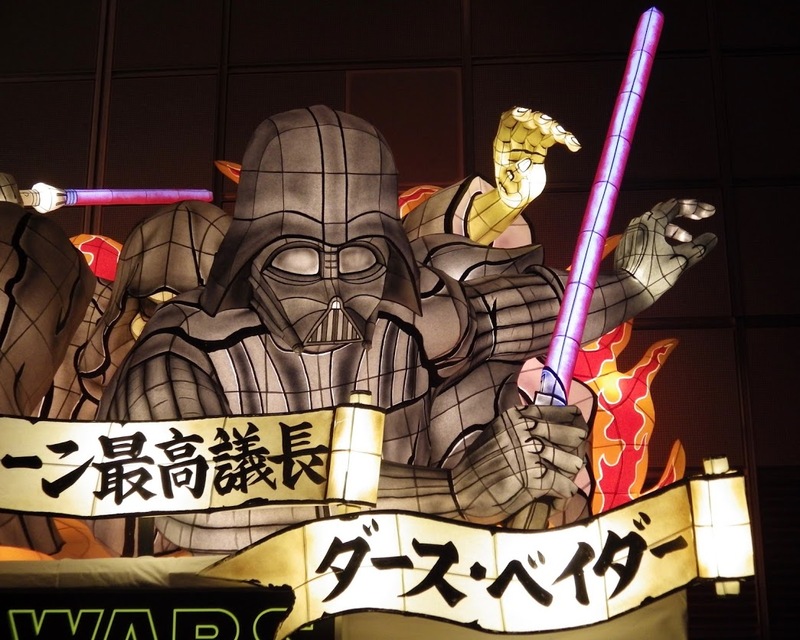 The Sapporo Snow Festival has actually featured two giant "Star Wars" sculptures in separate years. Christened “Snow Star Wars,” the first sculpture debuted in 2015 and portrayed Darth Vader, Imperial Stormtroopers, and the Death Star. Its sequel, dubbed “White Star Wars,” came in 2017 and portrayed Kylo Ren and the droids BB-8, R2-D2, and C-3PO. Both of these years saw the release of new instalments in the current sequel movie trilogy, which wraps up in 2019. Fans are already hoping for the announcement of a third and final sculpture next year. In the meantime, the festival has already gained increased attention abroad with these promotions, and the citizens of Sapporo will be working together with the Japan Ground Self-Defense Force to build new sculptures for the 2018 Sapporo Snow Festival. The poster for this year’s festival shows massive snow sculptures of owls and castles in the main site of Odori Park. In Susukino, the city’s entertainment district, ice sculptures run the length of several blocks along Ekimae-dori every year. At night, the ice is illuminated as the neon lights of Susukino come alive. The festival takes place in Odori Park and Susukino from Feb 5 to Feb 12. During this time, visitors can also raft down snow slides at Tsudome Site, where the festivities begin a little earlier on Feb 1. Now in its 10th year, Tokyo has its own mid-winter festival of sorts, known as Furusato Matsuri, the Hometown Festival. At this event, food vendors and festival performers from all across Japan pack into the covered stadium of Tokyo Dome in Bunkyo Ward. The festival runs until Jan 21. Aomori is one of the headliners. It has a large, two-sided paper lantern float on display, with music and dance performances that began Wednesday. 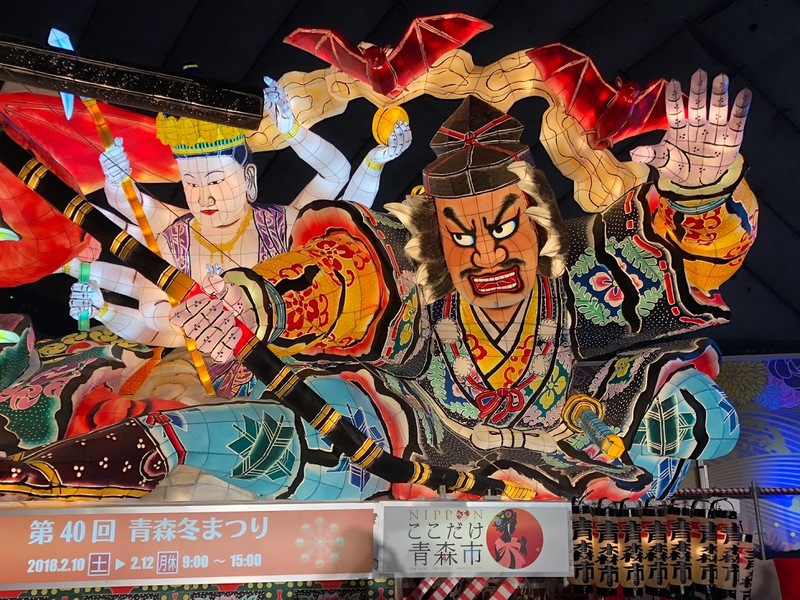 This float is an example of the city’s long-standing Nebuta tradition, whereby floats depicting Japanese mythological figures are carried through the streets on summer nights from Aug 2 to Aug 9. These floats are lit up from within, giving them a glow-in-the-dark effect. In 2015, Darth Vader, Rey and BB-8, C-3PO and R2-D2, Luke Skywalker and Yoda, and other "Star Wars" characters joined the ranks of the mythological figures. Four "Star Wars" floats were specially created for the festival that year, but festival organizers ultimately backed down from letting them participate outside a display capacity, citing a need to preserve long-held cultural tradition over outside promotional considerations. A 2015 survey by JTB Corp, Japan’s largest travel agency, showed that Aomori is actually Japan’s top festival destination, even more popular with respondents than Kyoto. However, as Japan Today noted in a story about Aomori’s "Star Wars"-themed Nebuta floats back in 2015, the prefecture’s remote location renders it easily overlooked by many Western visitors, who are not as likely to venture far from the major city centers of Tokyo and Osaka. It is about a three-and-a-half-hour bullet train ride from Tokyo Station to Shin-Aomori Station. With Furusato Matsuri, however, Tokyoites and those visiting the capital can get a taste at Tokyo Dome (literally, as there is also food from Aomori on offer) of the Aomori Nebuta Matsuri. "Star Wars: The Last Jedi" is still playing in theaters nationwide, and as Japan Today's sister site GaijinPot reported last month, the franchise—which has roots in the films of Akira Kurosawa—only deepened its relationship with Japan in 2017. Now that the 40th-anniversary year is over, fans find themselves looking toward the release of a new Han Solo movie. "Solo: A Star Wars Story" hits theaters in Japan on June 29, 2018. Of late, Star Wars Day, celebrated every May 4 (“May the 4th be with you”), has also spawned numerous events around Japan’s capital. 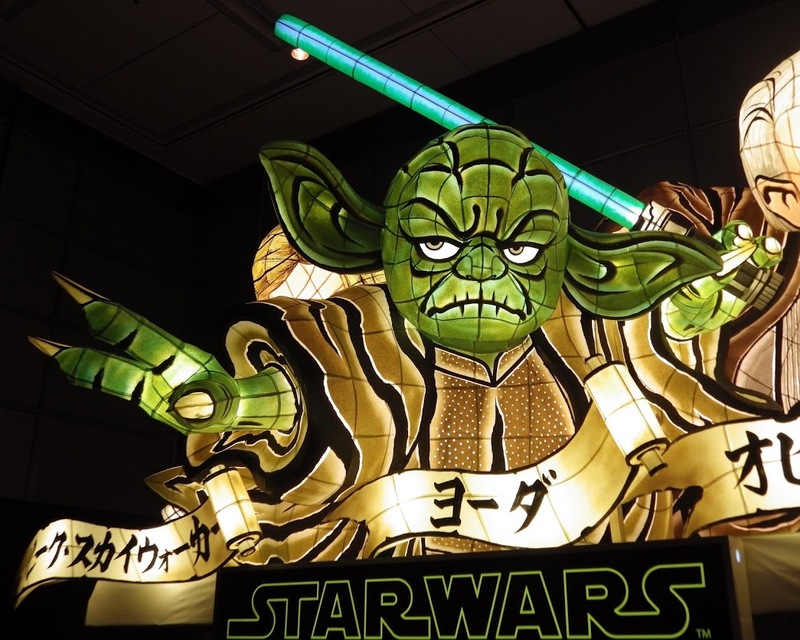 Until then—through Furusato Matsuri and the Sapporo Snow Festival—Japanophiles with an equal love for "Star Wars" have a chance to experience some of the Japanese festival culture that has established recent ties with their favorite film franchise.